All of our courses are conducted in English so in order to get the most from the programme we expect our students to have an intermediate English language level, both spoken and written. No, but there is a focus on improving your academic English throughout the course and a study skills programme. You will be encouraged to speak English for the duration of your time with The Granta Academy for the purpose of developing your language abilities. Are the courses for international students or students in the UK? Both. We welcome students in the UK and international students who would like to experience life as an undergraduate at the University of Cambridge. You will meet people from all over the world, just like you do at the University of Cambridge itself. We cater for all dietary requirements (health and religious). Please notify us as soon as possible so that we can accommodate your needs. Do you arrange visas for international students?  We are accredited by the British Accreditation Council which means we can provide you with an invitation letter to apply for a short-term study visa, however, we can’t apply for visas for you. For all visa requirements, please go to the UK Visa Government website. Check here to see if you need a short-term study visa to attend our programme. Should you have any further queries please contact us. Are you officially affiliated with the University of Cambridge? All of our teachers are Cambridge trained academics and we contract with the University of Cambridge for use of its accommodation and classrooms, however, we are not endorsed by or part of the University of Cambridge. As with any trip, we strongly recommend that you take out the medical and travel insurance that you feel necessary for the duration of the course. We recommend that students bring a laptop or portable device for class work and assignments.